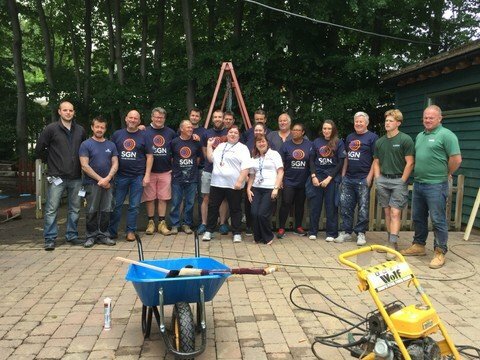 Strata were delighted to assist SGN at the BEAMS day centre and Dragon’s Retreat Short Break Unit at Allsworth Court in Hextable with their SGN DIY SOS day. BEAMS is a local charity that supports disabled children and their families in the Dartford, Gravesham and Swanley areas of Kent. They aim to support the whole family through a menu of services that directly benefit and assist those dealing with the challenges of raising a disabled child. Strata assisted by providing two volunteers to deliver carpentry and decorating support.